My mom's neighbors have a garden full of vegetables, and they kindly share their harvest with my mother. I gave my mom some of my cards as a Christmas gift, to give away, and this was one of them. Naturally, I had her sweet neighbors in mind when I made this one. 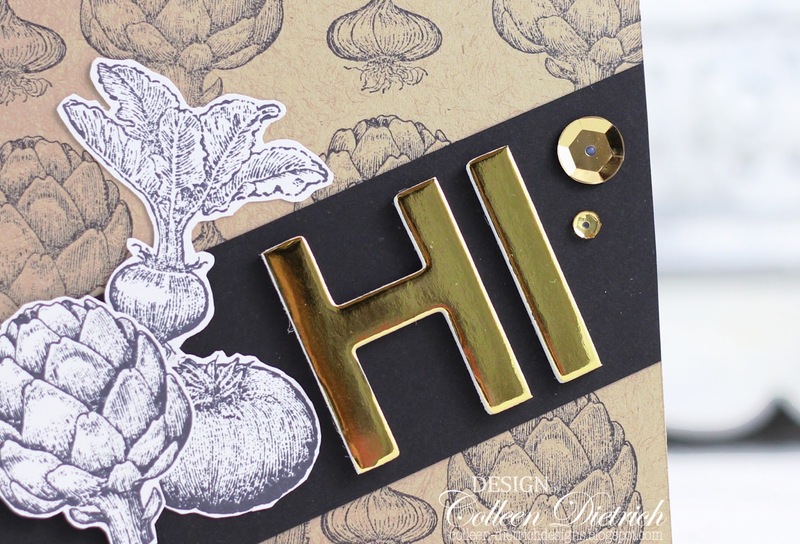 I stamped the garlic and artichoke images from Homegrown (Stampin' Up!) repeatedly on the kraft card base, then topped it with a diagonally-cut black strip. Some gold puffy alpha stickers, gold sequins, and more veggies (trimmed out of white cardstock) were added to the black strip for an eclectic kind of card, with a slightly modern feel. Hope Mom's neighbors enjoy this! 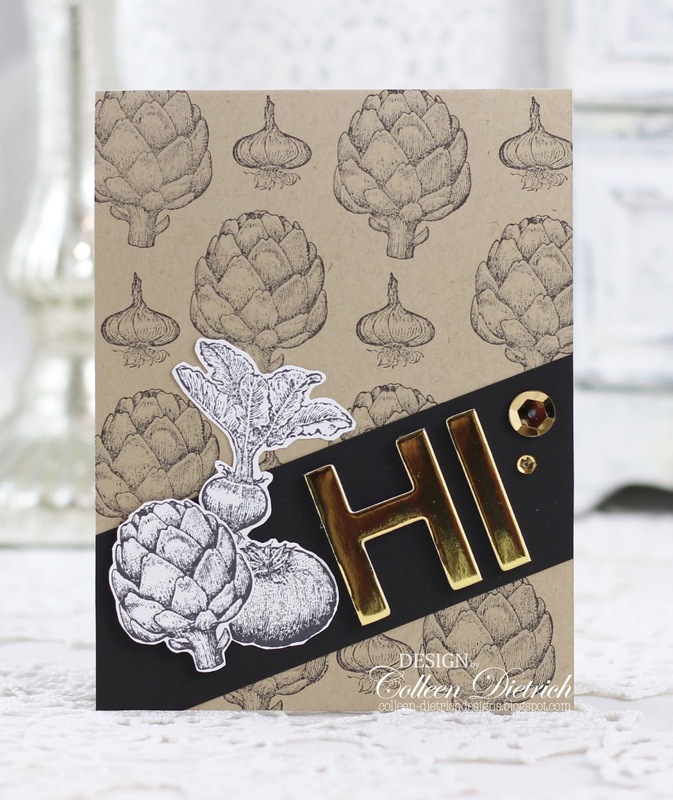 What a fun card and of course elegant at the same time Colleen. What a terrific card for the generous gardeners!! But they will love this! Love this card! Great design and the gold letters are fabulous with it. Your mom will put it to good use, for sure!